Born in Samoa, Roger was brought up in New Zealand. He attended Otahuhu College where he was selected for the New Zealand Rugby Union Schoolboy team and also captained the Otahuhu College 1st XV. It was while playing for the college's 1st XIII team that won the National Rugby League Secondary School title in 2011 that he was first spotted by NRL talent scouts. 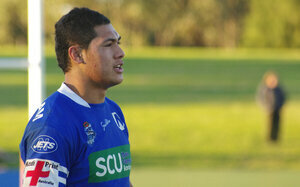 After weighing up his options which included an offer from the Warriors he signed with the Sydney Roosters for 2012. A place at the University of Sydney was what tipped the scales in favour of the Sydney club. Tuivasa-Sheck played for the Roosters NYC team in 2012 and scored 9 tries in 12 games before moving on to the Roosters New South Wales Cup reserve-grade team. In Round 21 of the 2012 NRL season, Tuivasa-Sheck made his NRL debut on the wing in the Roosters 36-16 loss against the Gold Coast Titans at SFS. Tuivasa-Sheck finished his debut year in the NRL with him playing in 6 matches for the Roosters in the 2012 NRL season. On 21 August 2012, Tuivasa-Sheck was named at wing in the 2012 Toyota Cup Team of the Year. 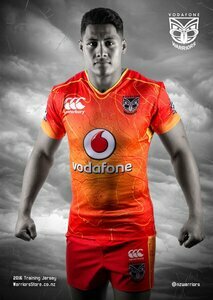 On 2 October 2012, Tuivasa-Sheck was named in the Junior Kiwis team to face the Junior Kangaroos and was named the New Zealand Rugby League's 2012 Junior of the Year. In Round 4 against Parramatta Eels Tuivasa-Sheck scored his first tries in first grade completing a hat-trick in the Roosters 50-0 win. On 1 October 2013, Tuivasa-Sheck was named 2013 Winger of the year at the Dally M Awards. On 6 October 2013, Tuivasa-Sheck was part of the Grand Final team playing on the wing that beat the Manly-Warringah Sea Eagles 26-18 for the 2013 NRL Premiership. Tuivasa-Sheck played in 25 matches and scored 9 tries for the Roosters in the 2013 NRL season. He capped off his stellar 2013 season making his international debut against Samoa in the 42-24 win at Halliwell Jones Stadium. 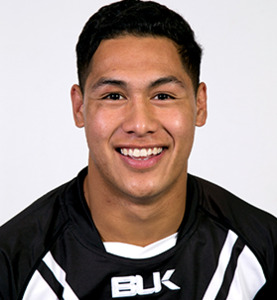 In the World Cup Final against Australia, Tuivasa-Sheck injured his leg early in the match and the Kiwis went to lose 34-2 at Old Trafford.Tuivasa-Sheck played 6 matches and scored 8 tries in the tournament. Tuivasa-Sheck was selected for the New Zealand Kiwis in the 2014 ANZAC.Test against Australia on the wing in the Kiwis 30-18 loss. On the 8th of April 2015, Tuivasa-Sheck signed a 3 year contract with the New Zealand Warriors which will commence at the start of the 2016 season, replacing Sam Tomkins.